« A 2012 Message from Mother Nature: Wake-up from your Fossil-Fuel Hangover…or Else! While 2012 was the year of Hurricane Sandy and the supposed “end of the world” as per our Mayan ancestors, it was a great year for sustainable transport. When I say sustainable transport, I’m not referring to electric cars (although the Tesla from El Chupacabra’s post is pretty awesome) but rather more sustainable/efficient/environmentally friendly means of moving people, especially with in metropolitan areas. This includes buses, subways, street cars/trollies, monorails, car sharing systems, and the oldest of them all…bicycles. In 2012, there were countless mass transit systems that began operating all over the world, from Mexico City to Rio de Janeiro, to Washington DC. I’d like to highlight a few that particularly stood out to me, and give a heads-up for what to expect in the year to come. 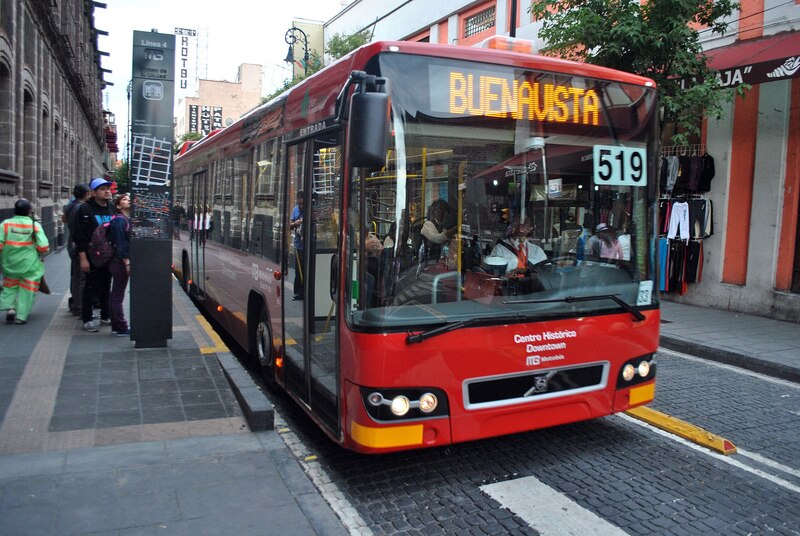 In April of 2012, Mexico City finished construction and began operating its MetroBus Line 4. MetroBus is Mexico City’s BRT system, which moves over 700,000 people every day. What is a BRT you ask? BRT stands for Bus Rapid Transit. Think of it as a subway above ground on wheels. The busses get priority lanes so they can by-pass traffic, the stations are usually at level with the bus floor and require prepayment, so that boarding and de-boarding at stations occurs much like a subway rather than a traditional bus, and the bus corridors usually cover larger distances, acting as a major transit line through the city. MetroBus got it’s first corridor online in 2005, and has since grown te system to 4 distinct lines covering a distance of nearly 100km (about 60 miles.) Besides adding another route to an already very popular system, Line 4 provides access to the airport, and also traverses it’s historic downtown. Look for MetroBus to get another line up and running sometime this year. 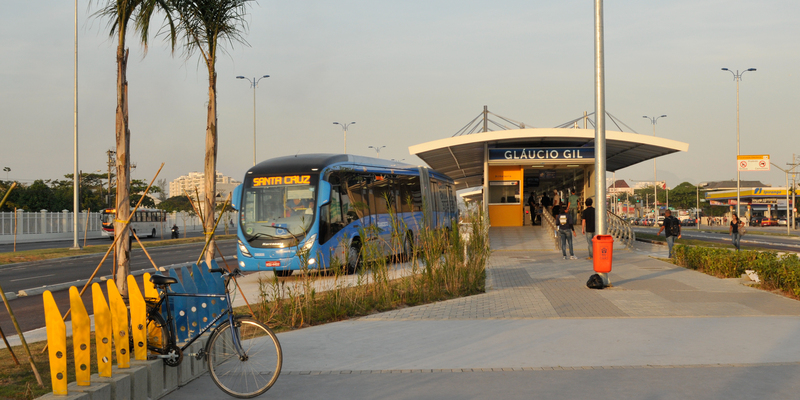 Rio de Janeiro also got on the BRT bandwagon and opened operations on its first corridor in June. In preparation for the World Cup and the 2016 Summer Olympics, Rio is building a brand new BRT system, which will include 4 corridors that will cover a total of 95 miles when all is said and done. This will nearly doubles the miles of BRR in Latin America, and provide cariocas with an integrated transport system that connects all areas of the city together. The Transoeste corridor made big news when it was inaugurated during the Rio+20 summit, getting the attention of celebrities like Mayor Bloomberg (maybe NYC will follow suit?) In the next few years, if you visit Rio de Janeiro, expect to have an amazing selection of transit modes to choose from, from its popular bike-share system, to subway, to a fleet of BRT. Now if you’ve visited or lived in Washington DC in the last two years, I’m sure you caught sight of a bright red bicycle riding around and neat little stations all over. Those bikes would be Capital Bikeshare (CaBi), DC’s baby bikeshare system that’s showing the world that the US can do bikeshare too. Bikesharing is a pretty simple concept. You pay for a memebership, you find a bike, you rent the bike for a period of time, and then return it to another station. The idea is to provide people with an alternative to owning their own bike, or to give cyclists an option to ride one way, then take another mode of transportation back (think sunny morning but rainy afternoon commute.) CaBi was debuted in September 2010, with 400 bicycles and 49 stations. The system was so successful that by its one-year anniversary, CaBi had reached 1 million trips. Last year, the CaBi system grew exponentially, reaching nearly 200 stations and over 1700 bicycles. CaBi is an amazing success story for bikesharing in the US. Overt he winter, CaBi is planning a whole bunch of new stations (54 to be exact) and expects ridership to increase. Now that bikeshare is a hit in DC, other major metropolitan areas will be following close behind. 2013 will see the launch of the New York City Bikeshare system, as well as the Chicago system. All of these different transportation modes provide city dwellers with multiple options to move around their metropolis. Now that more than 50% of the world population lives in urban areas (and this number is expected to keep rising) providing good mass transit and active transit option is key to keep emission down, but also to increase mobility and make cities better places to live. As I mentioned in my last post, it will be the cities of the world that will lead the climate flight. I see a bright future for sustainable transport in the years to come.